There are Multiple Ways to Contact Us! 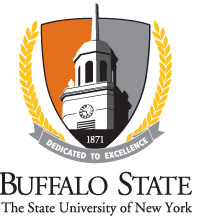 We have our own group on Buffalo State's Blackboard! This is where you can vote for your graduate leadership. If you cannot access the group through Blackboard please contact us! We can always be reached through the Graduate School located in Cleveland Hall, Room 204. GSA Officers - The Direct Link! Our general email address and social media contacts are below.